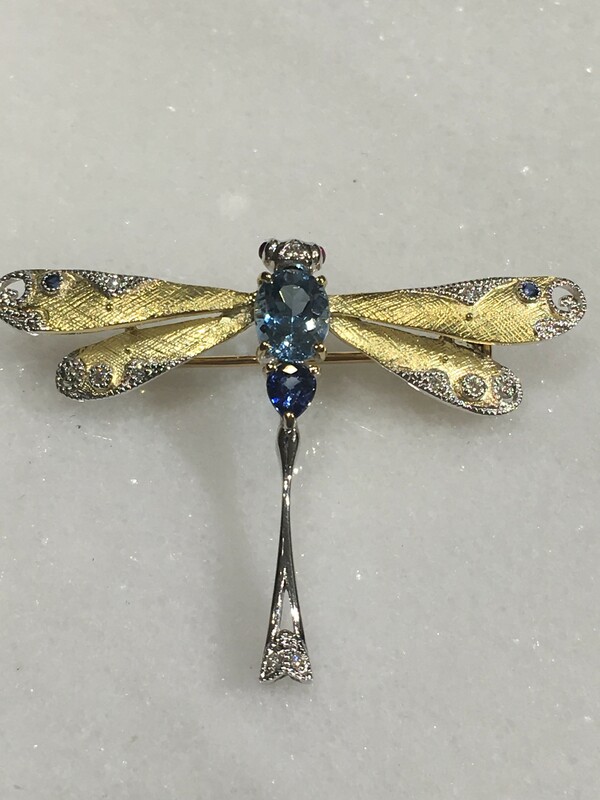 Dragonfly brooch is made of Aquamarine，Blue Sapphire,Ruby. Aquamarine is derived from Latin. [Aqua] which means “water” ,[Marine] which means “sea” in Latin words. Dragonfly with the beauty body of the smooth ocean of spring, bring peace and healing to the people，such as become one with the ocean of the source of life.